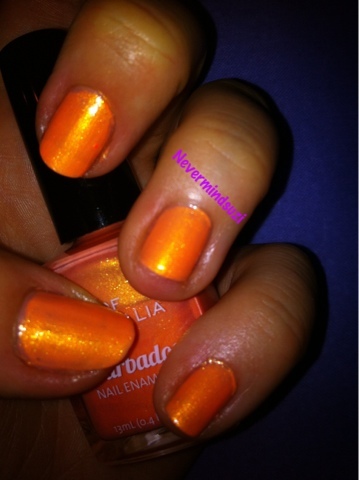 This is the 1st of my birthday polishes from my bestie that I have tried. Such a pretty colour, so hard to photograph. It reminds me in real life of Joker ice lollies, I think these may be a Northern Irish thing, an orange ice lolly with a vanilla ice cream centre. 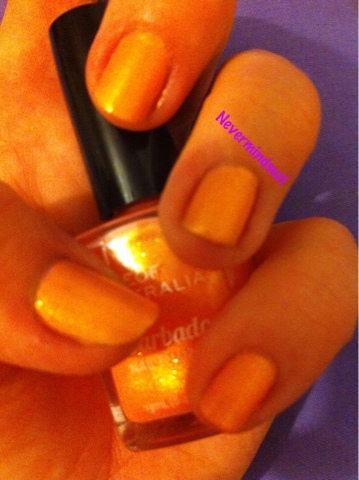 http://copythatcopycat.blogspot.co.uk/2012/07/face-of-australia-orange-you-glad-you.html these are much better pics than mine.